Moving your business and changing your business address? Be sure you notify these federal, state, and local agencies and departments when you change your business address. In some cases, you will need to notify agencies you are leaving as a result of your move. And in all cases, you will need to notify new agencies when you come under their jurisdiction. I'll point out what to do in each case. If you have any federal, state or local licenses or permits, you will need to change these, with the agency. State Secretary of State: Notify the secretary of state if you have moved within your state. Each state's procedure is a little different, but you will probably have to amend your organizing documents (Articles of Incorporation for a corporation or Articles of Organization for a limited liability company). 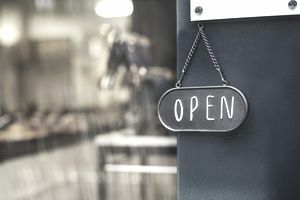 If you are a sole proprietor and you have registered your business name in your state, you may have to inform the secretary of state of this change of address. There will probably be a small charge for this address change. State Department of Revenue: Notify your state department of revenue (or equivalent) about your new address, so they know where to send information on sales taxes, state income taxes, and other state taxes. You must notify both the old state revenue department, to cancel your account, and the new one, to establish a new account. City and County: For licenses and permits, contact the locality and the county where you are doing business, to let them know of the change to your address. You should notify the old location of your change, and you will want to notify the new location. City and County: If you move out of your city or county, let the old location know you are gone, and get a business license with the new city. You will also need a new fictitious name/DBA with the new city or county. State: If you move to a new state, you will need to register your business legal entity (LLC, partnership or corporation) with your new state, through the state's secretary of state business division. You may not need to set up a new LLC in the new state, but you may be able to register as a "foreign" LLC in the new state. If you are leaving the old state completely, you can just let the state registration lapse. Some states might require you to notify them of your intent to leave the state. For example, you may be able to register as a foreign LLC in the new state. Each state's requirements are different, so check with the new state. You must also register with the new state's Department of Revenue, to collect state sales taxes and for other taxes. Any state licenses or permits will need to be cancelled in your old state. You will need to check with your new state to see about getting the same licenses of permits in that state. Federal: Notify the IRS using Form 8822, as above. There should be no other changes needed for the IRS notification. For more information about what to do when you move your business, see this checklist for moving a business, including changing your business name because of a move, and changing your legal entity.